Thank you for visiting our website. 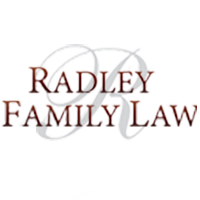 I’m sorry that your marriage is ending because all of us here at Rachel Radley Family Law know family is important to you and me. I also know this is a difficult time for you. Other than the death of a loved one, the end of a marriage or a common-law relationship is the most-emotionally stressful life event any of us is likely to deal with. FRO – I have seen people cope with emotions ranging from anger, betrayal and disillusionment to frustration and hurt. What I’ve learned is how important it is for the entire firm to understand the upheaval and trauma a client is coping with while keeping them focused on their goal and helping them navigate and negotiate the requirements, parameters and limits of Ontario’s family court system. We do this because separation and divorce don’t work quite the way they do on TV and the movies. I routinely see clients in my office who talk about “pre-nups” and “alimony” — American terms that are unknown in Canadian law. No wonder so many Ontarians facing separation and divorce are left confused. For example, it’s not uncommon for an angry spouse who caught their partner cheating wanting to “punish” them by demanding a lot of money in the form of spousal support, or how the marital property will be divided. But Canadian divorce law is not written to punish bad behaviour. The law doesn’t care whether someone was unfaithful, and courts won’t allow one spouse to punish the other – or to use their children as a bargaining chip. Instead, the system is concerned with practical matters such as child custody and access, child and spousal support, and an equitable division of property. The goal is that each spouse or partner leaves the relationship on approximately the same financial footing, giving each the best chance of establishing a new, happier life. The court is especially concerned about children. If you have kids, you are a parent for life. You can divorce your spouse or partner but you cannot divorce your children and the principle of “the best interest of the child” is firmly embedded in Canada’s divorce laws. The courts believe that, with a few rare exceptions, children are much better off having regular contact with both their mother and father. Field Guide to Divorce – We map out the process of separation and divorce, which is the last step. 17 Common Myths About Divorce in Ontario – We clear up misconceptions about what forms the grounds for divorce, guidelines for access to children, and how child and spousal support is calculated. Reducing the Cost of Your Divorce – Practical tips to keeping your legal costs reasonable. I hope you find the information on our website useful. I invite you to schedule a free consultation with me or one of the lawyers at Rachel Radley Family Law. Because family is important to you and me.